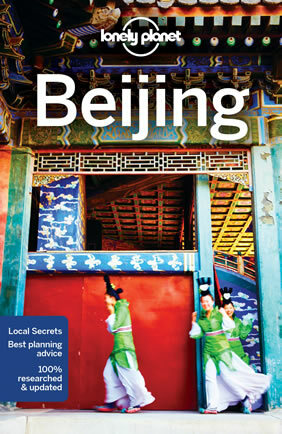 Beijing, Shanghai, Suzhou, Hangzhou, and more! 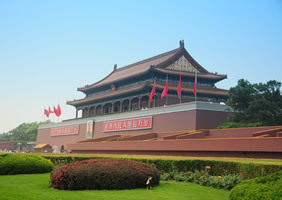 After touring Beijing, you will be transfered to Beijing airport to take flight to Shanghai. 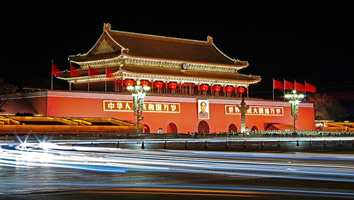 While arrived at Shanghai, you will be escorted to Nanjing Road directly. 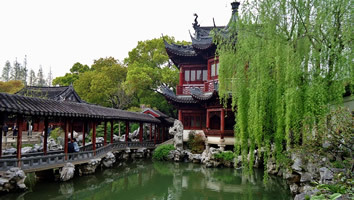 Humber Administration's Garden, the largest garden in Suzhou at nearly 52,000sqm, is one of the most flowing and beautiful classical Chinese gardens in all Eastern China. A garden was first built on this site in the 1100's. The grounds and flowing waterways are lovely any time of the year, but mid April thru May is when the flowering trees are most in bloom. It is a great place for children, but peace and serenity only abide before the crowds and megaphones join the flow from 10AM. 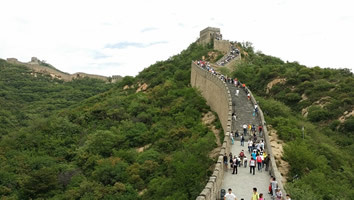 Keep in mind that the beautiful carved stone steps and paths are not pushchair or wheelchair friendly and allow yourself a good 2 hours to meander through all the elements. 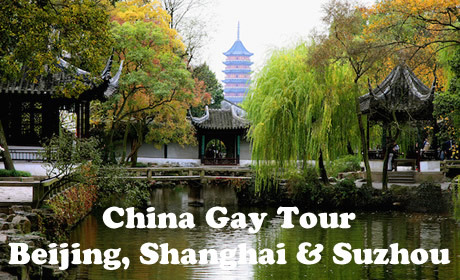 Located in the southwest of Suzhou city, Panmen Gate is the oldest city gate in Suzhou city. It was first built in B.C. 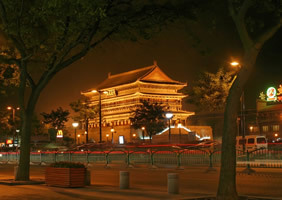 514 as one of eight city gates in the Spring & Autumn Period (770-476 BC) when Suzhou was the capital of the Wu Kingdom. The present gate was reconstructed in 1351, and consists of Water and Land Gates, the City Gate Tower and City Walls at both sides. The current magnificent gate tower was rebuilt in 1986 with flying eaves and up-turning corners. 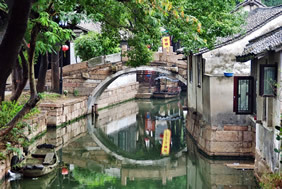 Panmen Gate is a fortress suitable for ancient water-towns like Suzhou in the southern part of China. 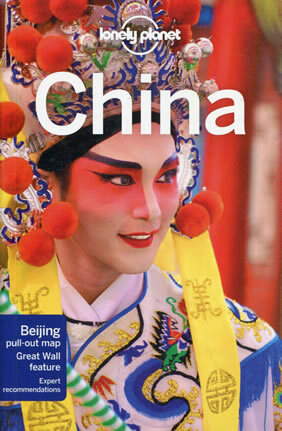 It is also known in China for its architecture complex of both land and water city gates. 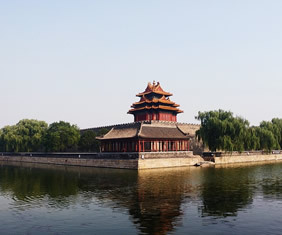 Grand Canal, also known as Jinghang (Beijing to Hangzhou) Grand Canal, is the most ancient man-made canal in China and the world. 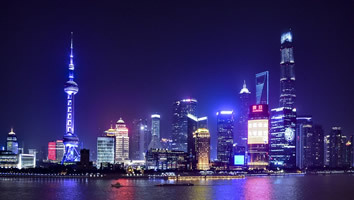 With a length of around 1,770 km, Grand Canal traverses Beijing, Tianjin, and the provinces of Hebei, Shandong, Jiangsu, Zhejiang, to the city of Hangzhou. The oldest sections of the canal can be traced back to the Spring and Autumn Period, more than 2,400 years ago. 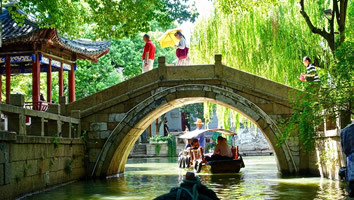 Suzhou Section is the essential part undertaking freight transport on the canal. Most of the coal, constructional materials, rice, oil and various agricultural products to the city, towns, villages are transferred through the course of the river. Here you can see the actual silk worms and the cocoons in which they unravel and use to make the silk blankets, clothes and scarves. They put several silk cocoons on top of each other to create the blankets and use various dyes to add color to the clothing articles. Here sells silk comforters, silk duvet covers, silk ties and so on, and the price listed is not negotiable. 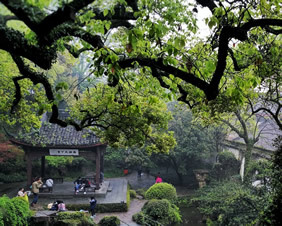 Located on the west bank of the famous West Lake in Hangzhou city, Zhejiang province, Lin Ying Temple was one of the most popular scenic spots in Hangzhou. 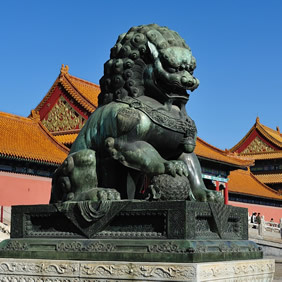 It was first built in AD326 at Eastern Jin Dynasty with a history of over 1600 years. When an Indian monk named Huili came to Hangzhou and saw how beautiful the peak was, he thought it must be the place for supernatural beings, so built a temple here called LingYin Temple. 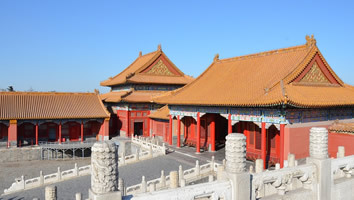 Ling Yin Temple has undergone several renovations, and at its best has 9 buildings, 18 pavilions, 72 halls with 1300 rooms, and more than 3000 monks. Originally Flower Harbor was a private garden near the Flower Family Hill, hence its name. Later, flowers and trees flourished, water was added to the pool and fish collected. Numerous carps live and play in Red Carp Pond, attracting thousands of tourists each year. Covering an area of more than 20 hectares (about 49.42 acres), Red Carp Pond consists of 5 scenic spots;Red Carp Pond, Peony Park, Flower Harbor, a lawn, and a grove. 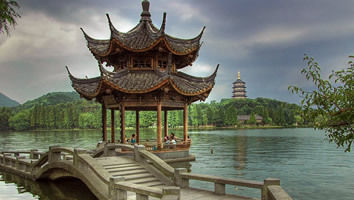 As a mustsee to visitors, West Lake is mainly composed of a hill, two causeways, three islands, five lakes and ten famous beauty spots. The lake, surrounded by hills, lies within them like a bright pearl. Su and Bai Causeways divide West Lake like two ribbons into Outer Lake, Beili Lake, Xili Lake, Yue Lake and Xiaonan Lake. 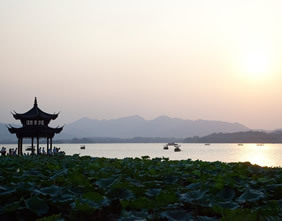 The experience of cruising on West Lake will be impressive and give visitors more than land tour. The lake, like a landscape painting, will cause you to marvel at its beauty and will perhaps make you feel as though you have stepped into a land of magic and fantasy. 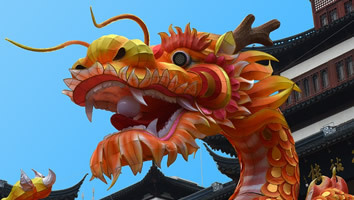 Covering an area of 132 acres, the Dragon Well Tea Plantation in Dragon Well Village of Hangzhou, Zhejiang province, faces the West Lake to the west and Qiantang River to the south. Dragon Well Village is a picturesque wonderland surrounded by mountains with a large area of tea trees. With tea pavilions scattering here and there in the tea mountains, the Dragon Well Tea Plantation is really a comfortable place for relaxing and enjoying tea among the lush tea trees. 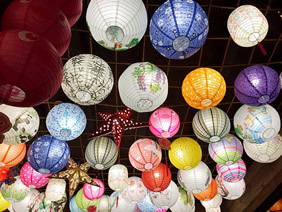 There are also teahouses and tea pavilions, which were built in Chinese traditional style, at the foot of the mountains in the village and surrounded by bamboo groves and trees. In the morning, after you have had your breakfast in your hotel, your local guide will meet you and you will be driven back to Shanghai. The rest of the day is yours to do with as you will. You can relax, or explore the city on your own. 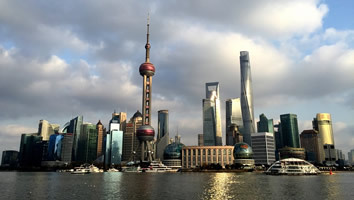 Located in the center of Shanghai City south of Huaihai Middle Road, Xintaindi is a fashioable pedestrian street composed of Shikumen and modern architecture style. 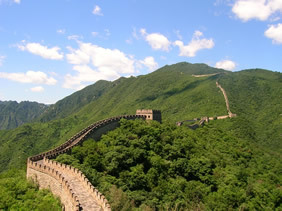 Xin Tian Di is unique because of its concept of construction. 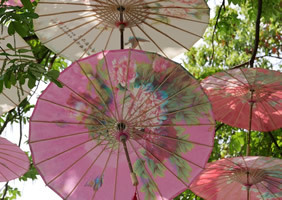 It retains the antique walls, tiles and exterior of the Shikumen housing of old Shanghai. On the other hand, its interior embodies a totally different world of international gallery, bars and cafes, boutiques or theme restaurants. When you walk into it, you will get the taste of both Shanghai in the 1920's and the sonic modern lifestyle of urbanites of the 21st century. 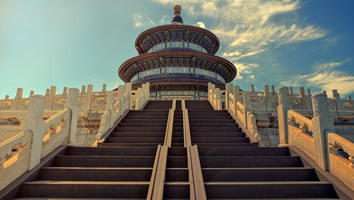 • All the transfer fares including intercity transfer fees of Beijing to Shanghai to Suzhou to Hangzhou to Shanghai as specified in the itinerary.